Go back to Appearance > Themes and click Activate on the Sunny Kids theme. This code can be found in the “License Certificate” file on your ThemeForest download pages. If you are familiar with WordPress theme customisations and you are planning on modifying this theme for your project then we highly recommend creating a “Child Theme” that contains your customisations. This way when an update is released by us it will not overwrite any of your custom changes. If you do not plan on editing any of the theme files (eg: css files, php code, background images) then you do not need to create a Child Theme. You do not have to create a Child Theme, this is an non-required advanced step for those who have a moderate level of website editing skills. Create a new page called “Home”, type some content on this page, save the page. Create a new page called “Blog”, type some content on this page, save the page. Go to Settings > Reading and choose the “static page” option. From the drop down choose the new “Home” and “Blog” pages respectively. Please see below for setting up the home page slider. Login to wordpress and view your home page. In the logo text box you can type in your company name (eg: My Company) use the special ‘<br>’ code to make a new line. Alternatively if you have a logo image please click on the logo image button and upload your logo. Please make sure the logo is resized correctly (eg: in photoshop) before uploading it to the website. You can change the logo spacing from the top/left of the website page to make your logo fit perfectly. If you do upload a logo image, please make sure the value in “Logo Image Width” matches the width of your uploaded image for best results. Go to appearance > widgets and drag the “Home Page Slider” widget to the “Home Slider” widget area on the right. Select the “Slider” page from the drop down list. This is a screenshot showing the available logo and header configuration options. This is a screenshot showing the available Google Font selections. This is a screenshot showing the available Text and Link Color options. This is a screenshot showing various theme Color options. This is a screenshot showing background color and background image configuration options. Here is a closer screenshot showing how easy it is to change the position of the sidebar on this page, or set the new default for sidebars on all pages. Choose the sidebar position as Hidden to make a full width page. To control which widgets display please go to Appearance > Widgets then drag & drop widgets to the corresponding widget areas on the right hand side. See advanced area below for more footer customisation options. Paste this shortcode onto the new page. Save the page and preview the page to ensure it works. Go to Appearance > Menu and create a new menu called “Main Menu”. 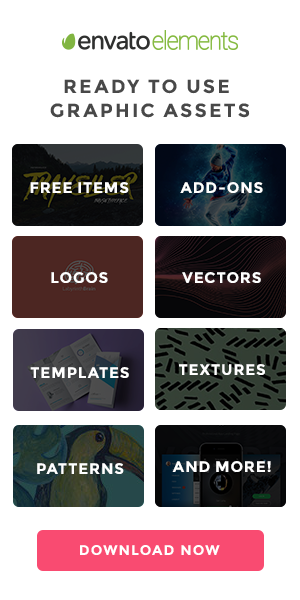 Drag & Drop the menu items around to suit your needs. This menu supports a single level of drop downs, so you can have sub menus under the main menu items (see demo for example). On the left select “Main Menu” as the “Main Menu” location and click “Save”. Your menu will now appear along the top of every page. This theme comes with a basic responsive design stylesheet. This means the screen will shrink when viewing the website on a smaller device. You can disable this feature by going to Customize and choose “Disabled” in the Responsive drop down list. Disabling responsive will make the website display like a normal big website when viewing from the phone. Some people prefer this option. dtbaker.theme_options.php (advanced: the dynamic CSS with theme colors selected from the Theme Customizer is generated from this file). The footer background images can be adjusted through the theme customiser.